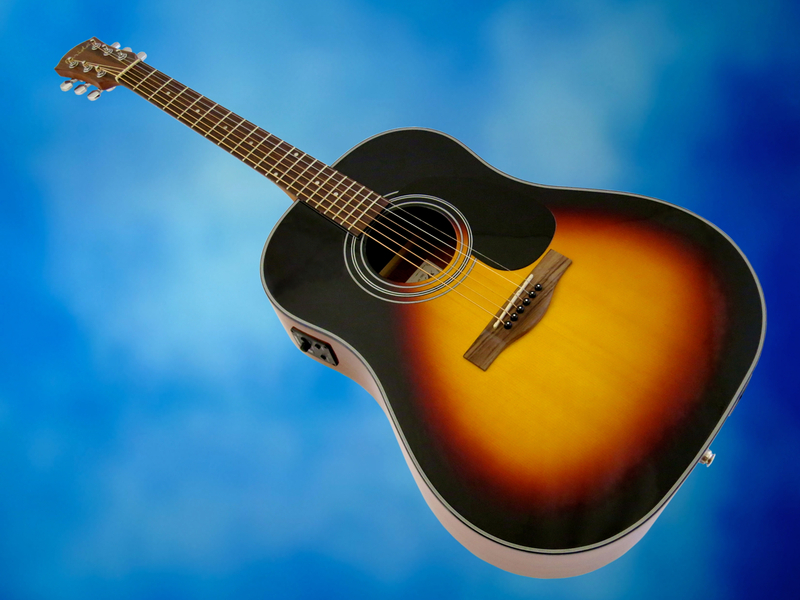 The Farida M-2 is a parlour-sized guitar, while the Farida B-10E gives you this company’s take on a miked-up, slope-shouldered Gibson steel-string. 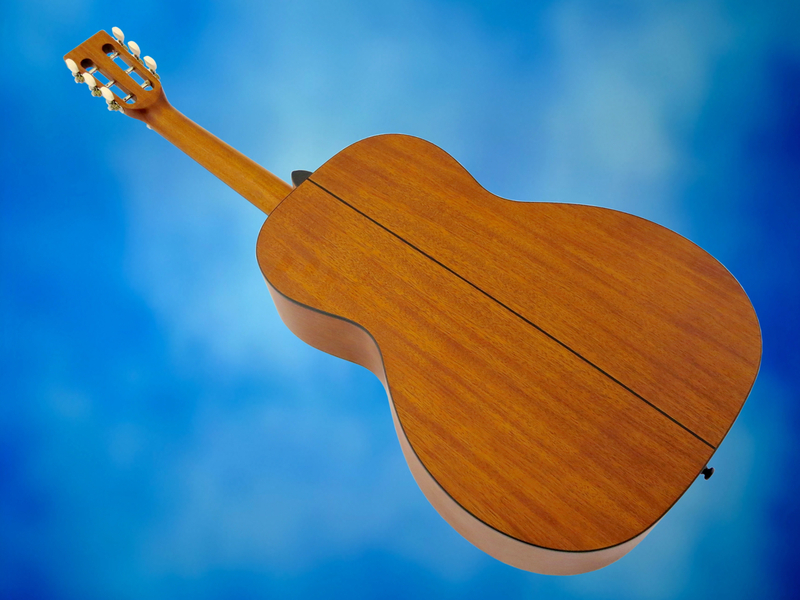 These days a guitar is called a parlour (or parlor, if you’re so inclined), if its soundbox is smaller than a Martin OM- or 000-body. 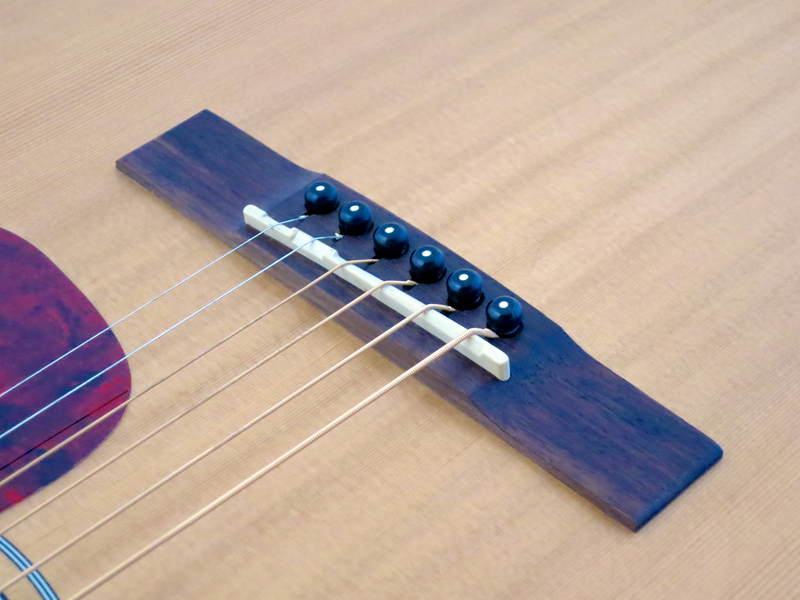 While parlour guitars have gained a growing followership over the last few years, it is still surprisingly difficult to find reasonably priced exponents of this species. Farida Guitars’ M-2 (current price in Finland: 465 €) ticks all the right boxes to whet a parlour lover’s appetite – a slightly shorter scale length (62.8 cm/24.7″), a 12th fret neck joint, and a classical-type open headstock. 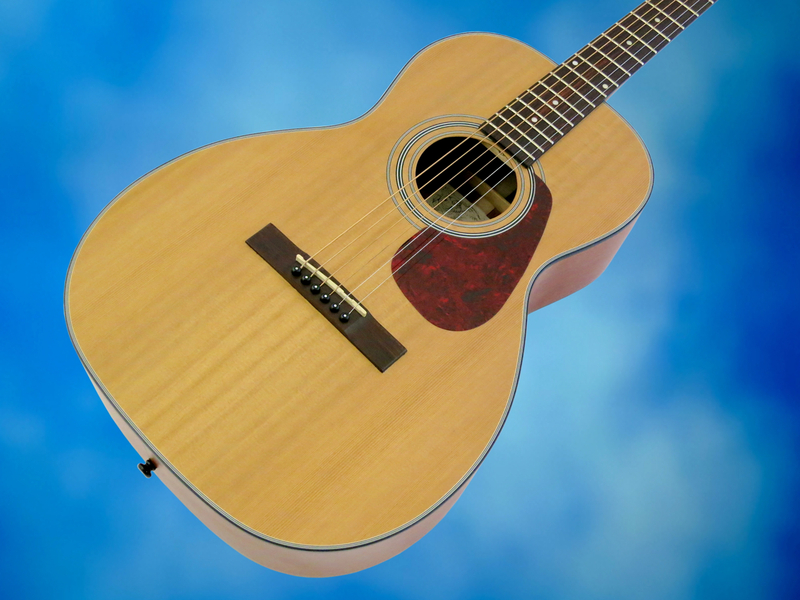 The M-2’s soundbox is made from a beautiful solid red cedar top, and laminated mahogany for the rims and the back. 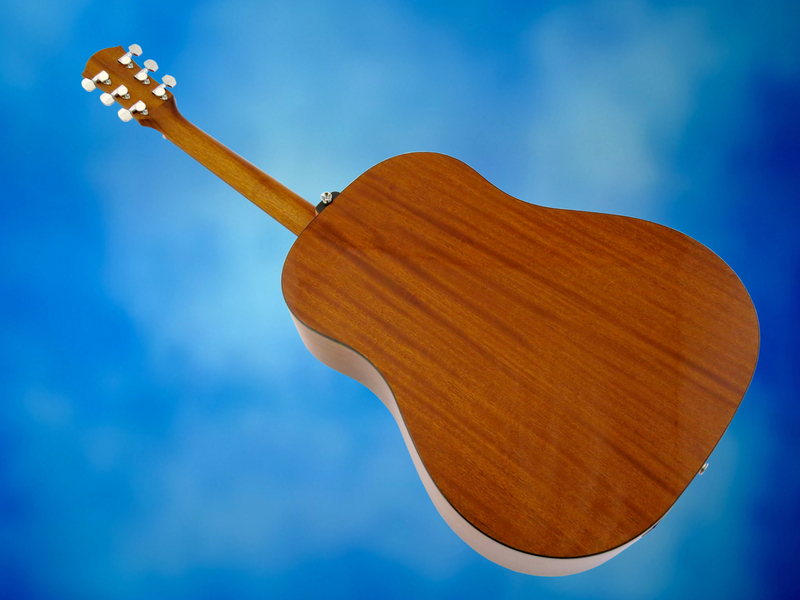 The mahogany neck is glued into the body in traditional fashion. The three-on-a-strip tuners are of a decent quality. 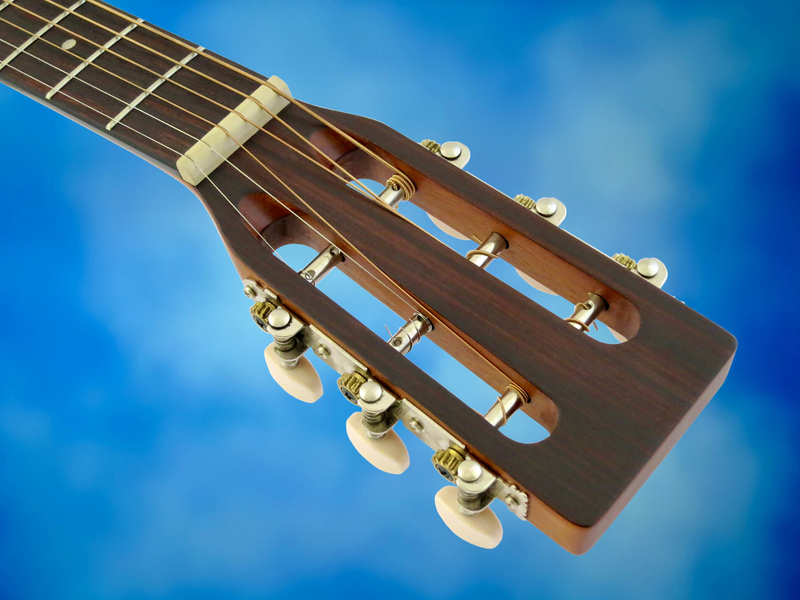 The Farida M2’s top nut and compensated bridge saddle are both made from a man-made bone substitute. The fretwire used on this parlour has a narrow and medium-height profile. 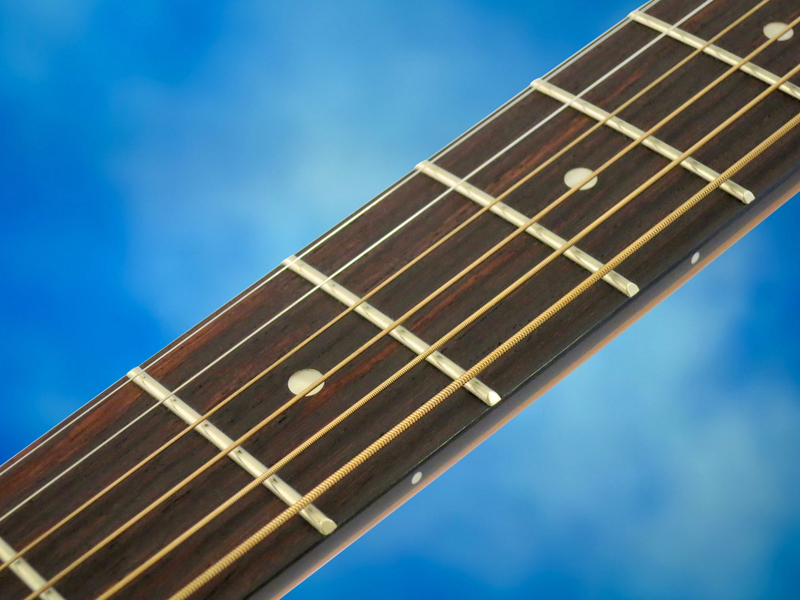 There’s a very nice red hue to the M-2’s rosewood fretboard. 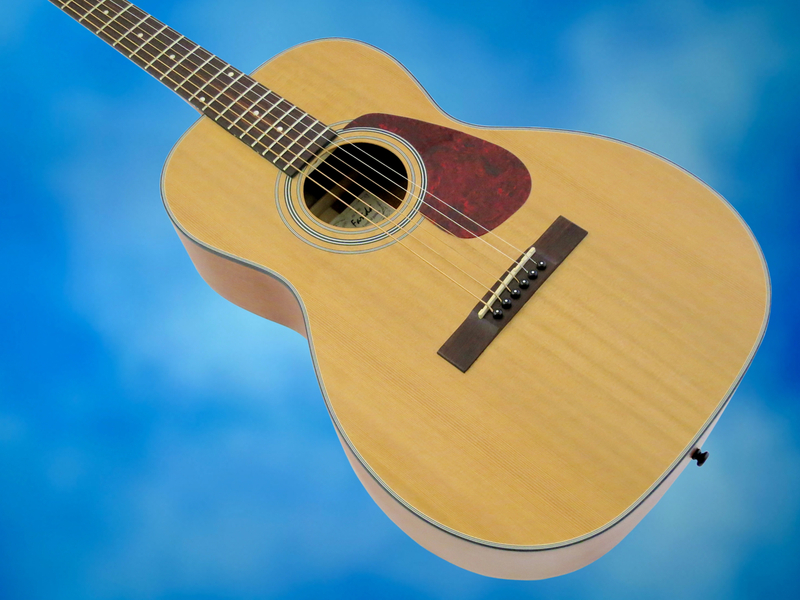 This very cleanly built acoustic instrument comes in a thin natural satin finish. 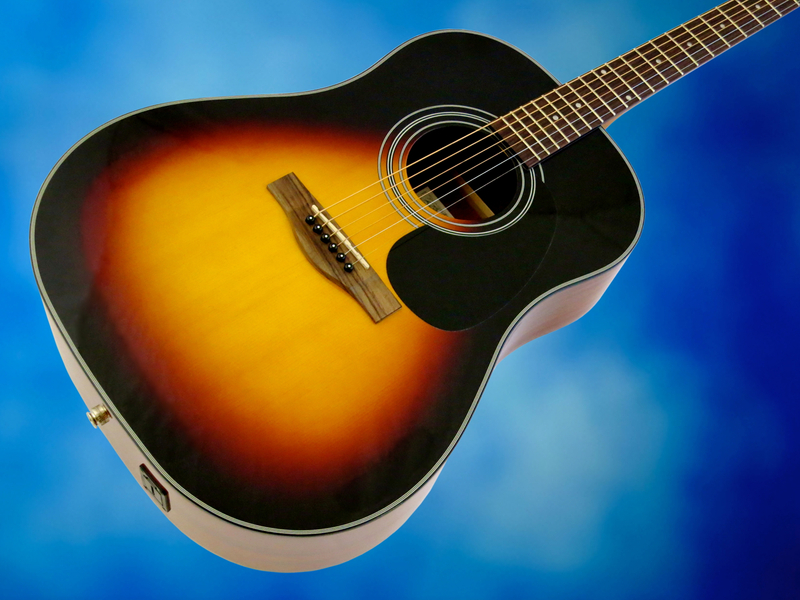 Farida’s B-10E (425 €) is the brand’s affordable version of Gibson’s famous slope shoulder (or round shoulder) dreadnought design (first released in the mid-1930s as the Advanced Jumbo). 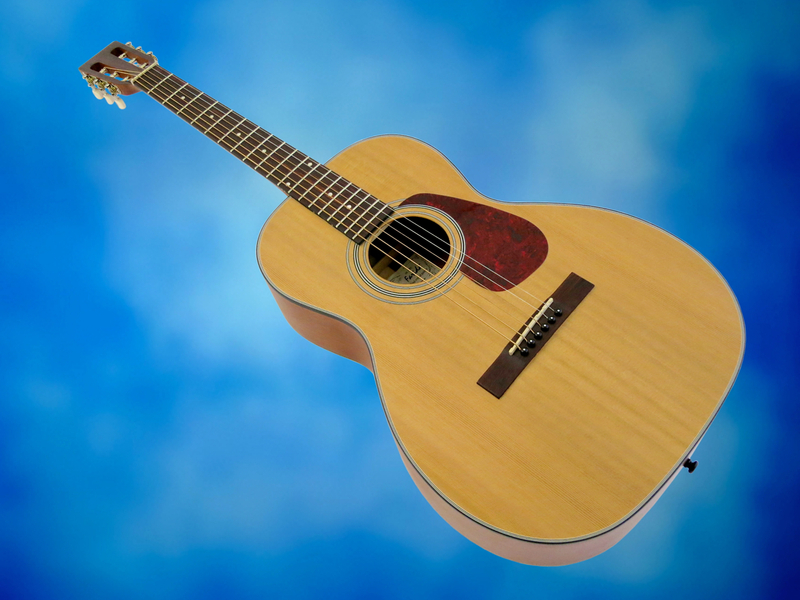 Like the name says, this guitar type differs from the more common Martin dreadnought by virtue of its rounded “shoulders”. 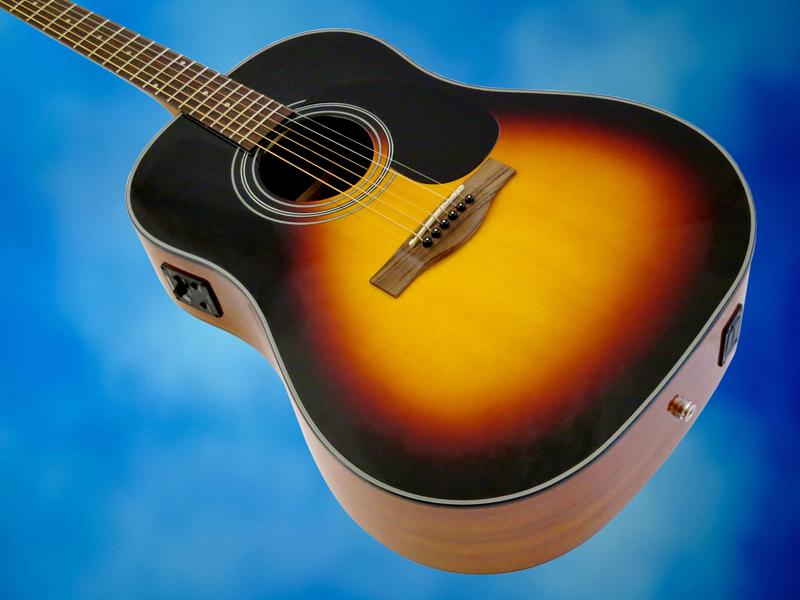 The B-10E sports a solid spruce top finished in a gorgeously deep gloss sunburst. The mahogany soundbox has also received a gloss finish, while the mahogany neck goes for a modern satin finish. 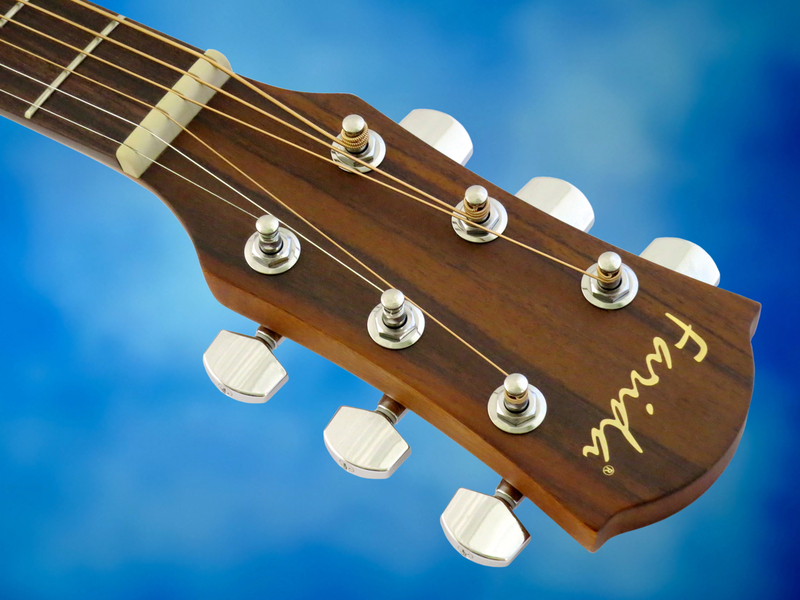 Farida have come up with a good-looking headstock shape, at least in my opinion. 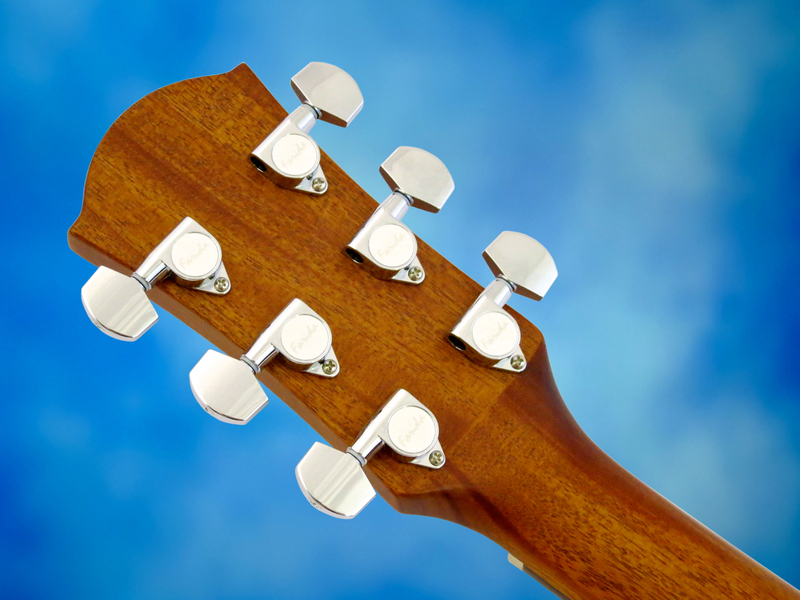 The B-10E’s headstock face sports a beautiful rosewood veneer. The machine heads are very decent Schaller-style models. As with the parlour model, Farida’s slope shoulder dread also comes equipped with a self-lubricating Tusq-type nut and compensated bridge saddle. 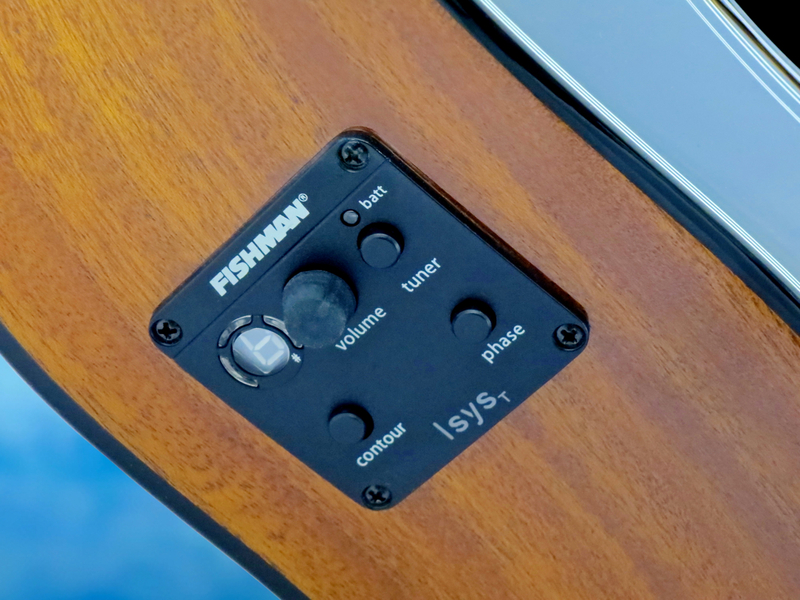 The B-10E features a Fishman Sonicore under-saddle transducer connected to an Isys T preamp. 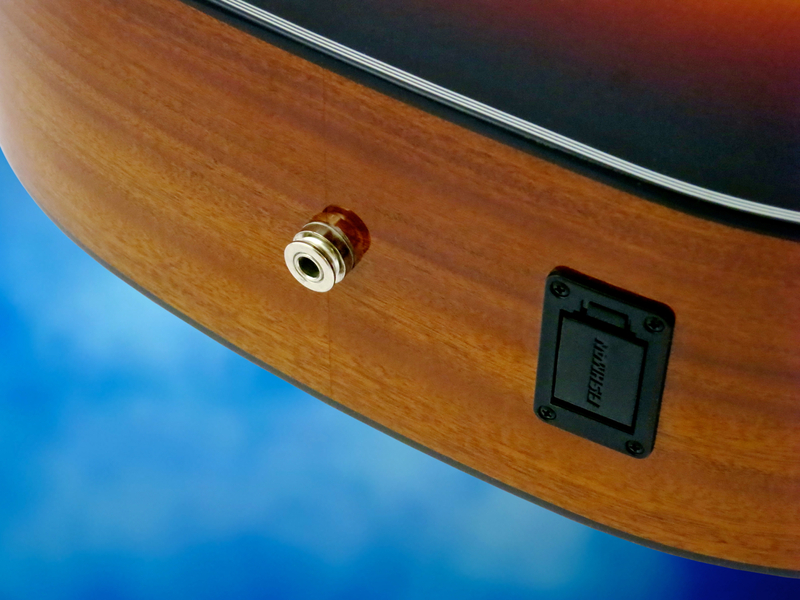 In addition to the large volume control, the preamp also comes with a phase inverse switch (to combat feedback), a pre-EQ curve (called Contour), and a digital tuner. The output jack is found in the end pin, with the easy access battery compartment nearby. Despite this model’s rather affordable status, the fret job on the B-10 is actually surprisingly clean. 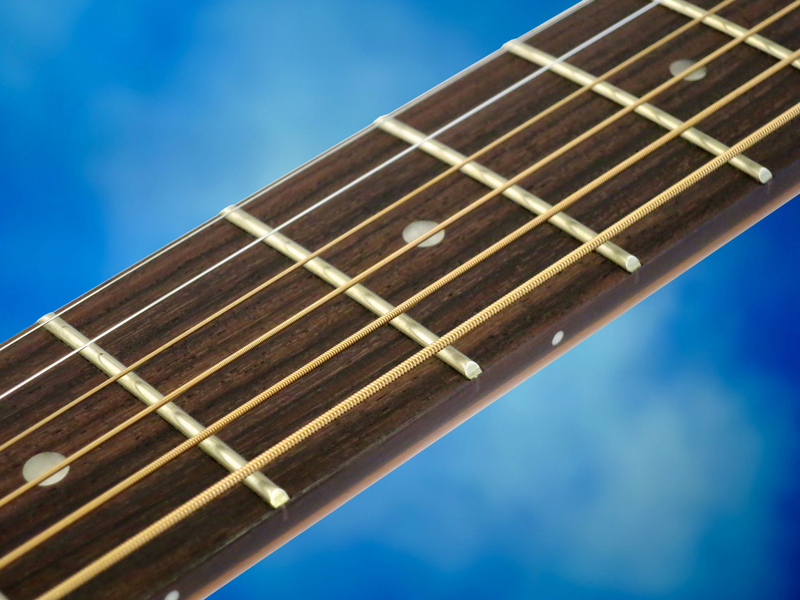 To some parlour snobs – yes, there are such people – the only “correct” neck profile for a guitar of this type is a wide and massive V-neck (also called a boat neck). True, a boat neck is the authentic option, but many modern players do feel quite alienated by such a profile. 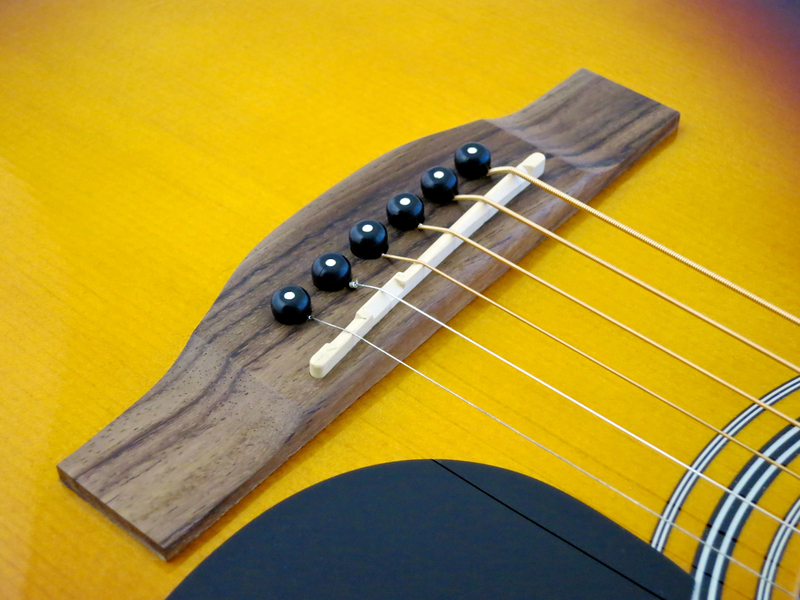 Luckily (and sensibly) the Farida Guitars M-2 comes with a very player-friendly, modern D-style neck profile. Talking about comfortable: The M-2 is a very lightweight and compact little instrument, which fits effortlessly in your lap. This means that this parlour is a great choice for young players and many women, too. You don’t need to be a Folk music fan. 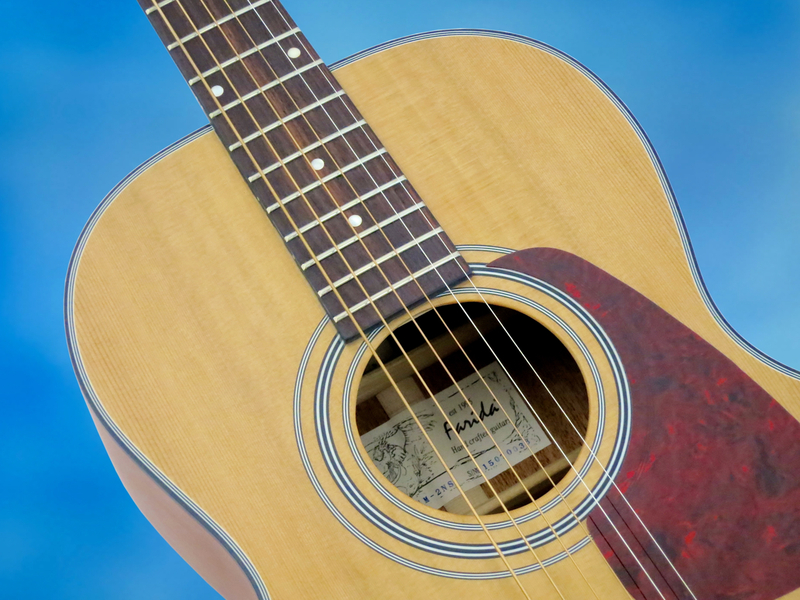 Farida’s M-2 delivers the sound you’d expect from a small-bodied steel-string guitar. There’s not a lot of deep bass, the mid-range has a certain boxy quality, and the whole is rounded off by a healthy dose of chiming top end. Farida’s B-10E offers a lot of value and enjoyment for a very moderate price. 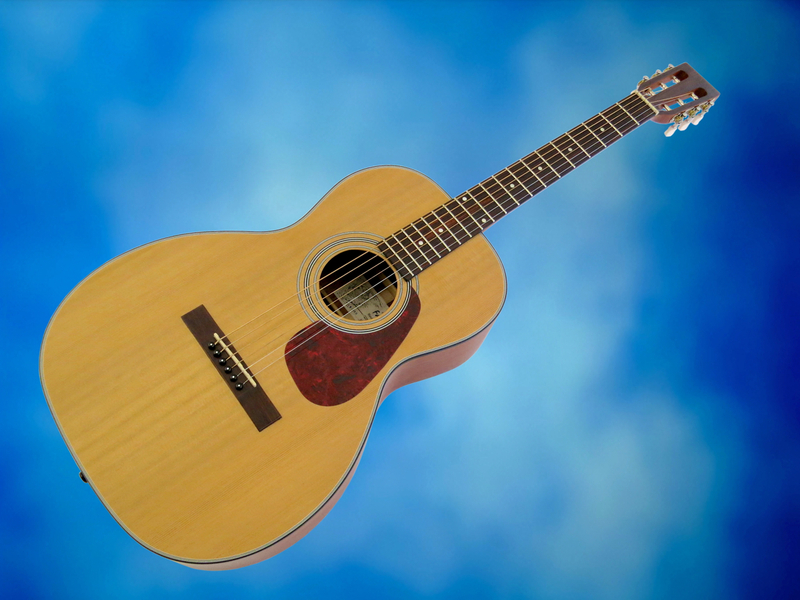 Here the neck profile is a slightly more rounded, oval C.
This Farida gives you the punch you’d associate with a well-made dreadnought guitar, suitably seasoned with the warmth this model’s Gibson-type scale length brings into the mix. In contrast to the parlour, the much larger body of the B-10E equates a hefty boost in the bass and treble registers. 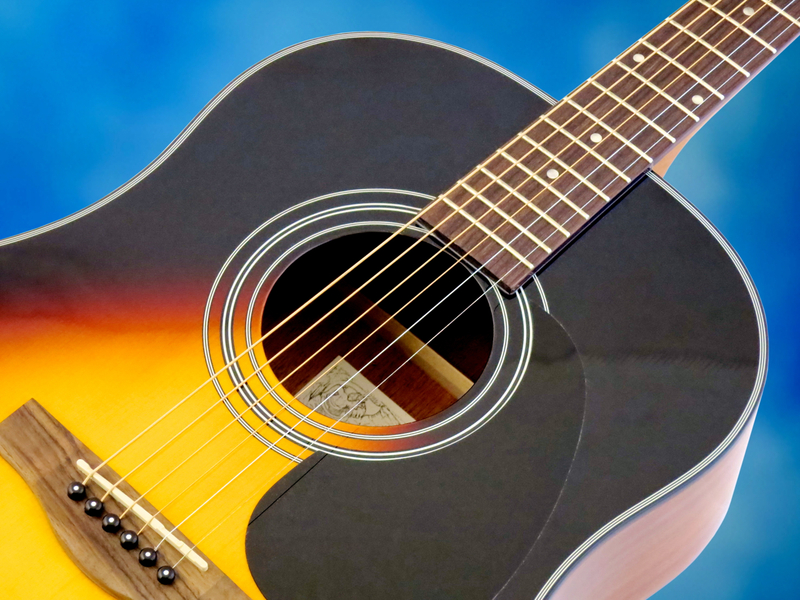 Based on this review, Farida seem to offer a lot of guitar at very fair prices. 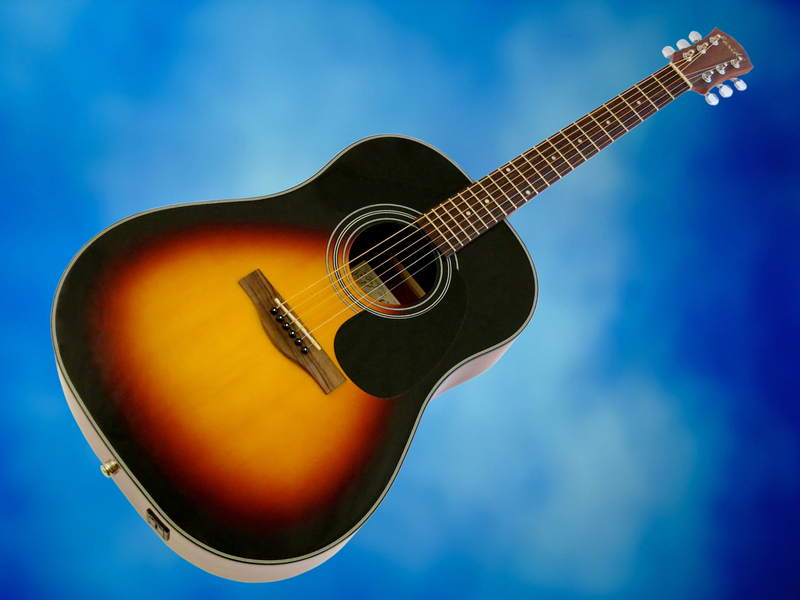 Both the Farida M-2 and the B10E are beautiful steel-string guitars that offer easy playability and inspiring sounds.